The doctor is in. Share your thoughts with this loveable IBM shrink and get instant trends on your mental health. Mental health is a tricky aspect of personal wellbeing. Either people overestimate or underestimate the danger they could be in. One of the most difficult problems to overcome in giving mental wellness advice is gathering enough data and over a long period of time to track behavorial patterns and changes. 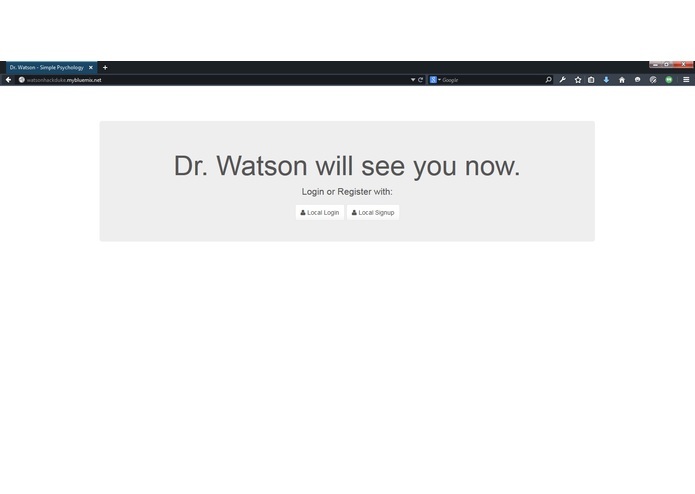 Built on the Bluemix platform with Watson User Modeling and NodeJS, Dr. Watson gathers and stores patient narratives in primarily two ways. By leveraging the unique algorithmic capabilities of Watson we are able to easily turn any laptop with an internet connection into a supportive mental healthcare provider. Dr. Watson relies mainly on an Express application providing HTTP services to a frontend client. 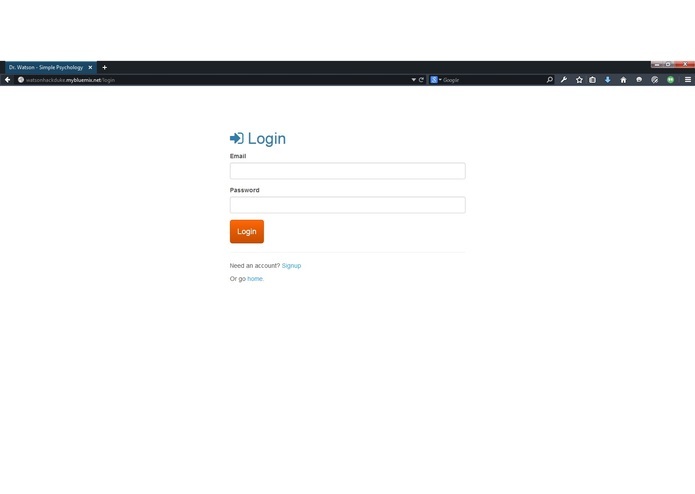 This design allows the frontend to be easily manipulated and implemented on any device, from laptops to smart phones. User data is stored in the cloud with a MongoLab service provided by Bluemix, and is accessed via OAuth for security. The core of the analytics behind the application is the User Modeling API provided by Watson on the Bluemix platform. 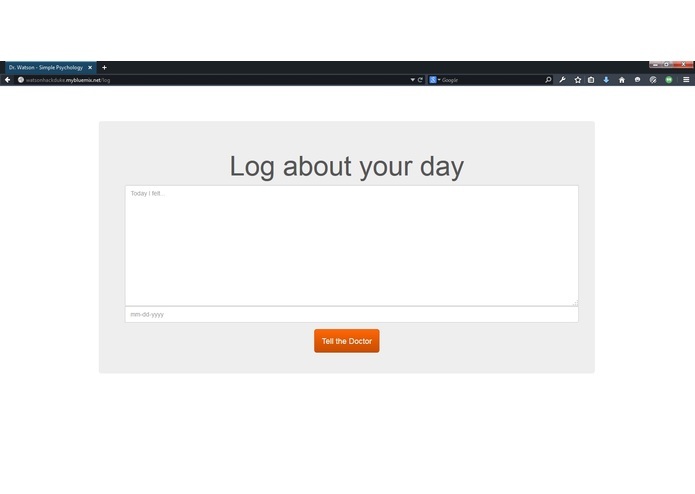 A NodeJS server on Bluemix fields queries for analysis, and returns useful data to present to the end user. Information is rendered in an easy to read format with graphical, interactive charts, and some simple advice from the doctor himself. One of the best parts of the way this hack was designed is that the limitations of the demo are only because of time. 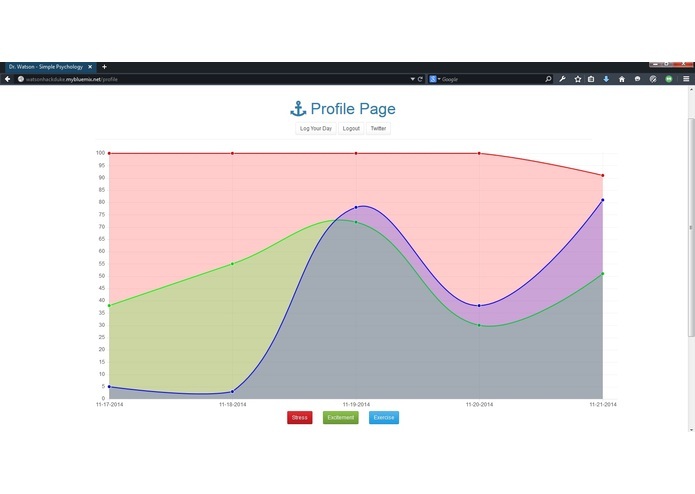 The RESTful API that we developed to support Dr. Watson can be expanded in a matter of minutes to utilize more personality objects analyzed by the User Modeling API. The trends and analysis done on the data can be easily applied to new user data sets, and apps can be made on the go! Using data sets scoured from various parts of the internet, we can establish and show trends of Susceptibility to Stress, Excitment Levels, and Level of Exercise. 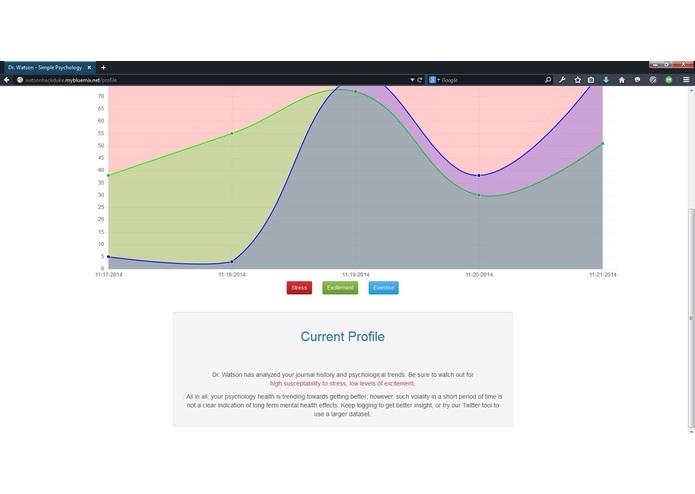 These trends are shown on an interactive graph as well, and the interpreted results and shown to the user at the bottom of the screen. 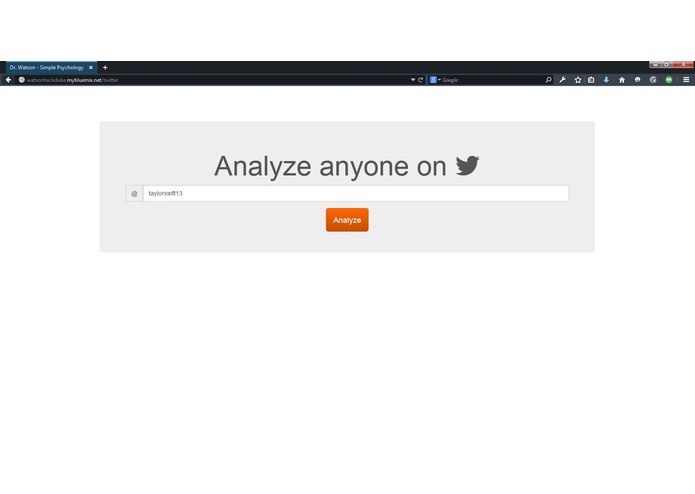 The user can update and maintain a journal in the cloud with their account, as well as use the Twitter tool to gather and analyze data of any pubicly available profile using the Twitter API.